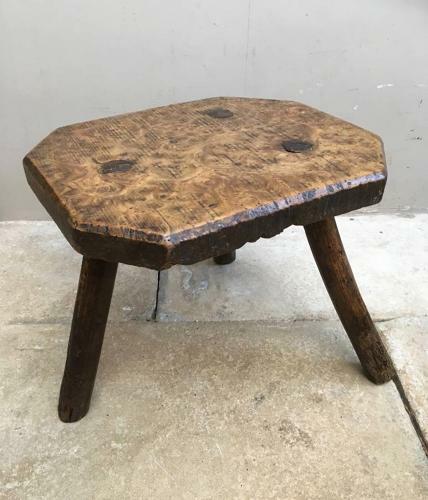 A wonderful Victorian Country Burr Elm Three Legged Stool. Good size & fantastic colour. Works as a low small table. No repairs or alterations..has had some worm in the past all LONG gone!